Jessella provide tested and bespoke building envelope solutions to the UK market, offering specialist consultancy, design & chartered engineering together with flexible procurement and installation services. Contact us today to discuss your façade requirements. Developing new and existing relationships with our clients and their site teams is fundamental to what we do. Successful relationships deliver successful buildings and at Jessella, we take pride in our ability to provide a professional, award winning service no matter the challenge or budget. Providing a helpful service is of paramount importance and to ensure we achieve this, we are prepared to go above and beyond the standard role of the sub-contractor, as a specialist partner, to support the success of the project. It is to this extent that we seek to surround ourselves with like-minded individuals and organisations to build collaborative working partnerships. Are you ready for a new opportunity? If you have experience in the façade sector, or want to develop your skills with a specialist sub-contractor, then we want to hear from you. 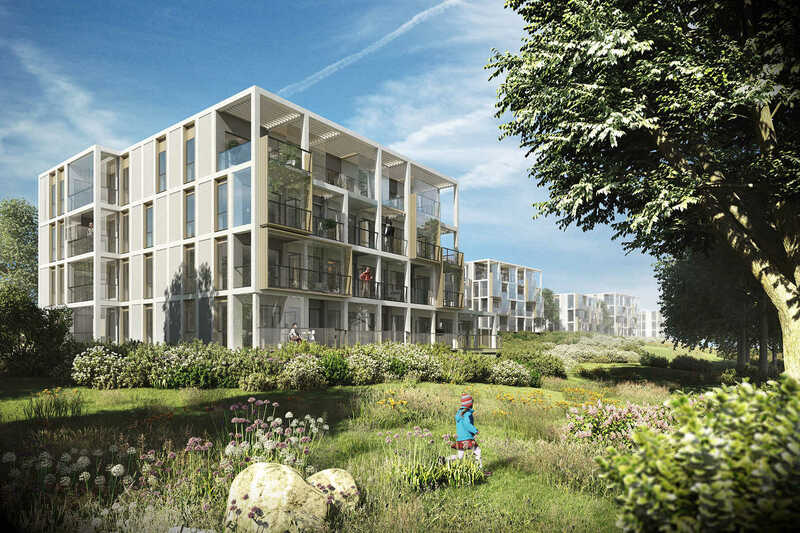 A spectacular development of 105 apartments across seven parkside pavilions, comprising enclosed winter gardens orientated to provide year round views of St Andrew's Park at the former RAF Uxbridge. A contemporary collection of 1, 2 and 3 bedroom apartments in vibrant New Cross with views over London's iconic skyline and minutes from New Cross Gate station. Bond House will play home to a new gallery with a double height space on the corner façade and Artists' studios inside. A development of new homes in Stratford, an increasingly sought-after residential area of East London that has undergone significant regeneration and benefits from a wealth of local amenities. The development includes commercial and retail premises, as well as landscaped podium gardens, a gym and a concierge service. A development of new waterside homes in Royal Greenwich, the location of which is certain to appeal to commuters working in Canary Wharf and central London, as well as to first-time buyers. The River Gardens incorporates a private gym, swimming pool and concierge service for residents. The refurbishment of Kennet House, a former office block, lead to an increase in the building’s height, through the addition of new terraced floors. With a desirable riverside location, this new complex provides 103 contemporary apartments, basement parking and landscaped courtyard gardens. Contemporary Living in a central location moments away from London's South Bank, Valentine Place is a new residential development in Southwark. The project comprises 42 1, 2 and 3 bedroom apartments, 3 bedroom duplexes and 3 bedroom townhouses around a beautifully landscaped communal garden. A stunning collection of riverside apartments within a short walk to Bath town centre, offering pocket parks, gastro pubs and rural living in an urban setting. Set on the banks of the River Avon, these new homes in Bath are one of the very few residential developments that enjoys direct access to the riverside whilst being within walking distance of the town centre. Jessella are pleased to be working with the Wates Group to deliver the SFS and rainscreen cladding systems to the former Gaumont Palace Theatre at 196-222 King's Road Chelsea. Jessella are pleased to be working with Taylor Wimpey to deliver the rainscreen cladding package at their Eclipse, Blackhorse Lane development. The team here at Jessella have signed up to the Costa Foundation Three Peaks Challenge 2019 - click to find out more and support our cause. Jessella operate a dedicated customer care service to support our clients and their commitments.